Earlier this year a group of national, regional, and local energy efficiency pros met to decide what we should ask people to do to make the greatest impact on energy efficiency across the United States. What is the big, bold action we are looking for to show people how to save energy and save money? What is the cutting-edge technology that we should urge people to adopt to slash their energy usage? It turns out that the best ask today is the old ask: Change a light bulb. 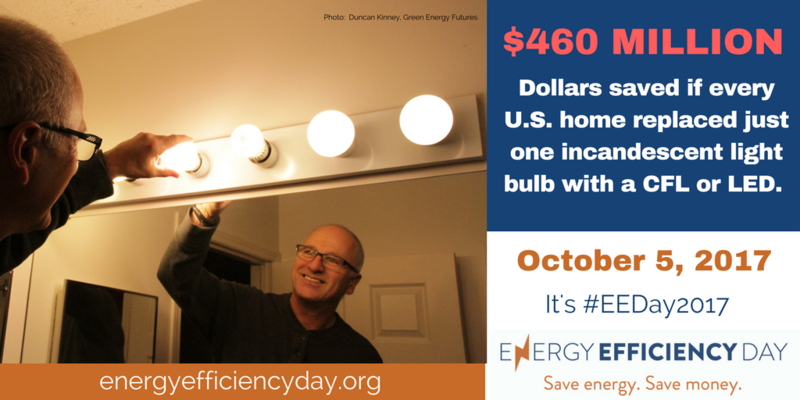 So that’s what the Energy Efficiency Communicators Network, of which AEE is a member, is going to do for this year’s national Energy Efficiency Day, which is planned for October 5. Because it turns out that there are a lot of old light bulbs still burning, and wasting energy, out there. 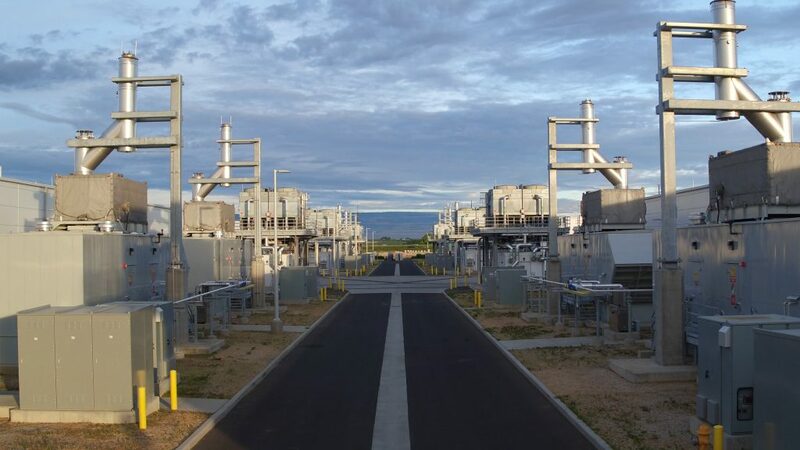 A Microsoft datacenter in Quincy, WA. Advanced energy is a $200 billion industry in the United States that supports more than 3.3 million American jobs, as detailed in the new report Advanced Energy Now: 2017 Market Report. Earlier this week, Microsoft invited AEE, as well as other industry groups such as Edison Electric Institute, Northeast Clean Energy Council, and Michigan Energy Innovation Business Council, and executives from SunPower and Direct Energy, to discuss the power of the advanced energy industry to drive economic growth. At More than 3 Million Jobs, Advanced Energy is a Big – and Growing – Source of Employment in the U.S.
Chuck Fernandez takes a selfie with the solar array he just installed in Lancaster, Calif. Image courtesy of Mr. Fernandez and NEXTracker. Last week, eight major business associations across the spectrum commonly known as “clean energy,” including AEE, held a daylong social media event celebrating the employment impact of our collective industries. Under the #CleanEnergyJobs hashtag, more than 900 companies, organizations, and individuals sent out messages, infographics, videos, and photos – including more than a few selfies and team pics – extolling life on the job in clean energy. It was all to amplify a bit of powerful economic news: Based on the latest data from the U.S. Dept. of Energy, clean energy now supports more than 3 million U.S. jobs – equal to the employment provided by retail stores, and twice as many as building construction. We thought this news was worth shouting, if not from the rooftops, at least via Twitter! This post originally appeared on the NECEC blog. 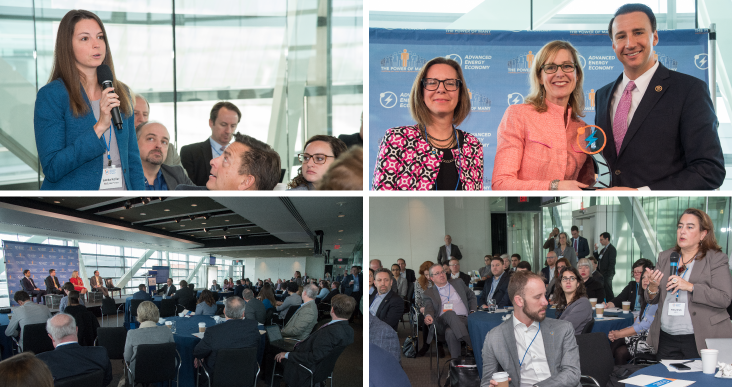 Energy Policy, Politics and the 2016 Election was the topic of an exciting panel at the annual conference of NECEC’s national partner Advanced Energy Economy this week. The panel, moderated by AEE VP of Communications Bob Keough, featured a conversation with national energy media veterans Amy Harder of the Wall Street Journal, Rod Kuckro of EnergyWire News, Matt Daily of Politico and Mark Drajem of Bloomberg News, who discussed the prospects of the Bipartisan Energy Legislation in Congress, the impact of the recent stay issued by the Supreme Court on the Clean Power Plan, energy issues in the 2016 presidential race and more.